Hey everyone! A slight change of pace in this post, as this is full of Graham's art instead of Caroline's. It happens, and hopefully there'll be more of both to show soon as we work on finishing our first Of Stars and Swords story and start to develop some new things. For now though, here's a bunch of sketches Graham has been doing to get back into the groove of drawing again. There's a good chance these will get inked in the future (maybe even by Caroline), as well. 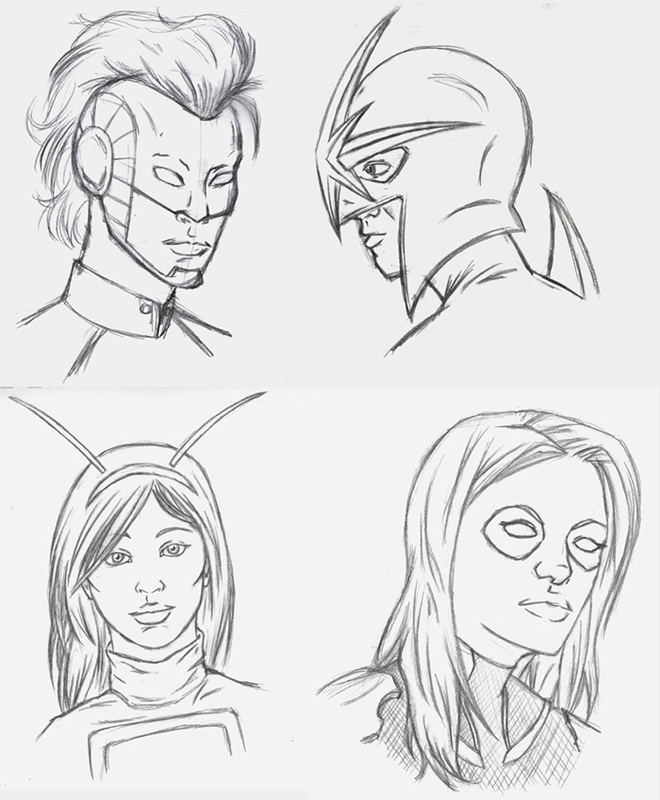 The first batch is a group of Marvel's cosmic characters: Captain Marvel, Nova, Mantis, and Gamora. 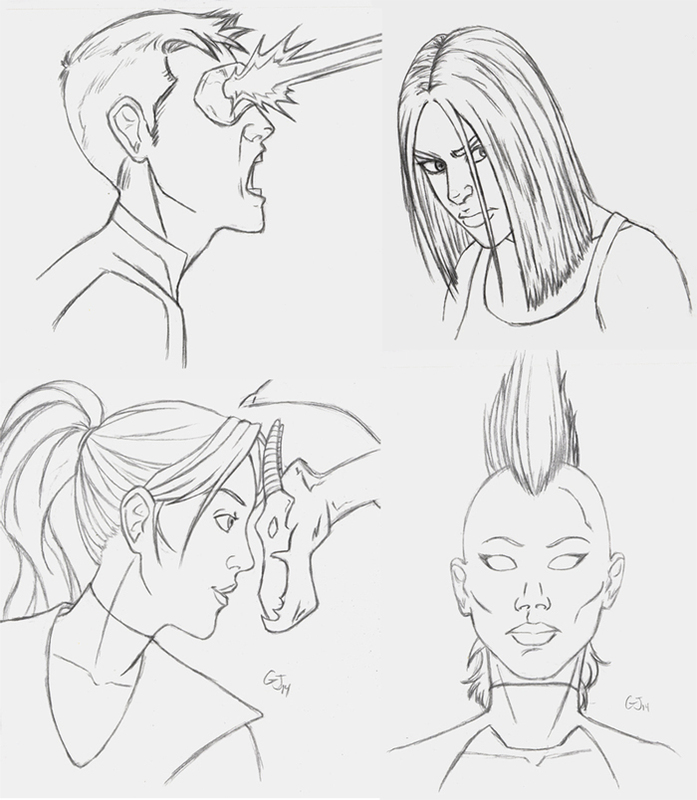 Second group are all X-Men: Cyclops, X-23, Kitty Pryde and Lockheed, and Storm. 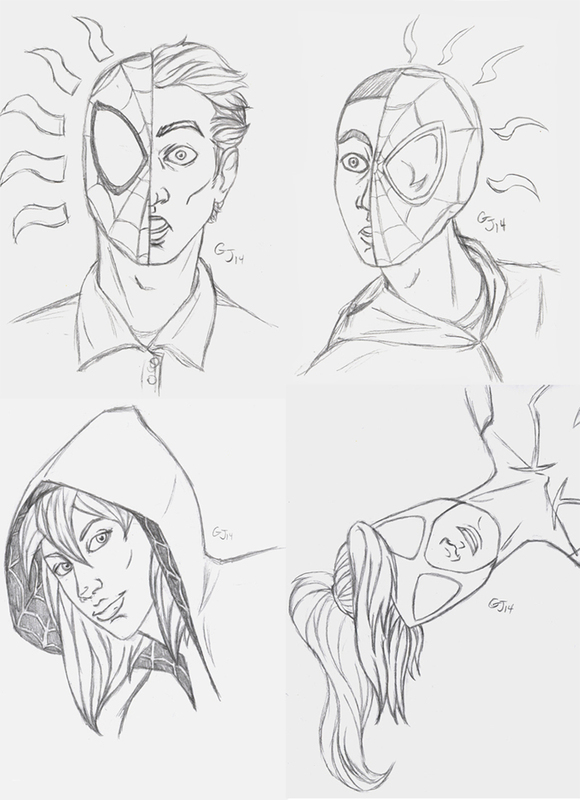 Third group are all Spider-Man related: Peter Parker, Miles Morales (Ultimate Spider-Man), Gwen Stacy (Spider-Woman), and Anya Corazon (Spider-Girl). As the first Of Stars and Swords story arc draws to a close, we've been giving you all some small looks at the cast for the second story arc. 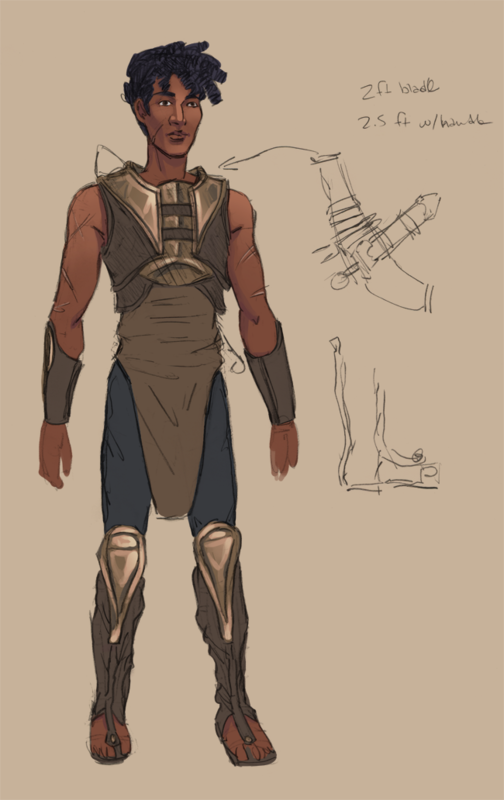 First, we showed the designs for Kieran and Maeira, a pair of Elves that will be joining Seren..
Then, a few weeks ago, we showed off the design for Cato. This week, meet Anica! As with Cato, she's been a primary character in the Prose story. Visually, we wanted Anica's design to have a bit of an Egyptian influence, as part of our push to show more of the world beyond the usual "everything in fantasy is white and European". At the same time, we wanted her to have some more color than the other designs, especially since the other characters tend to wear darker, more subdued outfits. 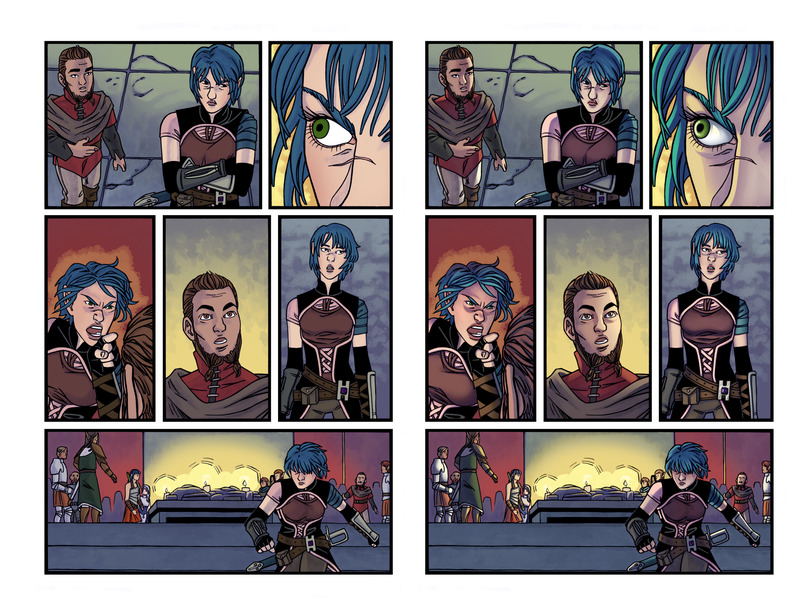 The first story arc for Of Stars and Swords is nearly over! We've been a bit slow on getting these last pages out, and we apologize! But to tide you over, how about a look at the future? The second story arc is already in the planning and prep stages. There will be a new cast of characters joining Seren, and while you've seen a couple of them in a previous post, how about one more? Oh...wait, did I not mention those two in we showed you last time would be joining up? Oops! 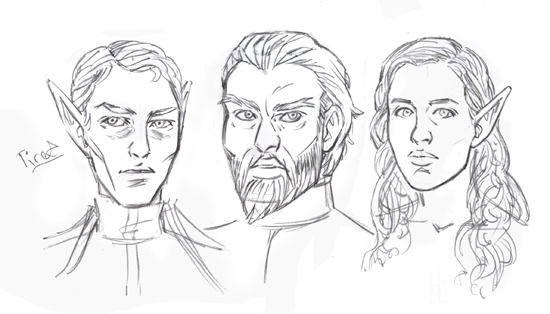 So joining them AND Seren will be a familiar name to anyone reading the Of Stars and Swords Prose sidestory. That story's lead, Cato, will be joining the comic in the next arc! And here's a look at him. He's gone through a couple of stages of design, and we'll show off the fairly drastic alterations and work we've done eventually, but for now, here's his (probably) finalized design! The newest Of Stars and Swords page features the return of the main villain for the first story arc, the Mad Lord. We're over a hundred pages into the comic, but we've only seen him TWICE! And both times were in the Issue 0, back in 2012! Since it's been so long and we actually needed him for the current scene, Caroline did a proper design for him. So here's Caroline's design sketches for the Mad Lord. Enjoy! 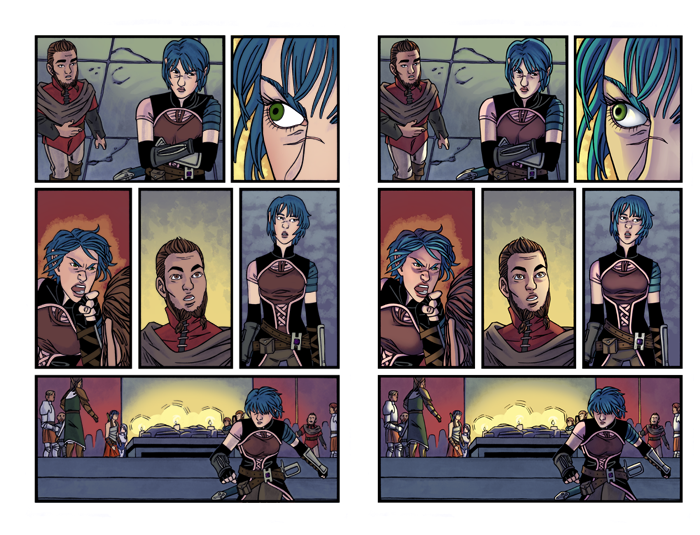 Of Stars and Swords is, right now, in the home stretch for the first arc. We're going to be done in around ten pages! It's exciting and we're having a ton of fun reaching the point in the story we've been aiming for, and not expecting to really ever get to, since the very beginning. And in the lead up to the end of our first story arc, we decided to have some fun with background characters by inserting the likenesses of some of our comic creator friends. While we've done four cameos, only two of them received design sketches. Why? Because we're weird that way. Or mean. So to make up for being mean, first I'll plug our two friends that didn't get concepts drawn. First is Sarah Roarke, creator of the comic After Daylight. She's on this page, in the second to last panel...dead center with pink hair! Second is Larry Watts, currently the penciller on Robyn Hood for Zenescope. He's on the last panel on this page, being grabbed by Seren and looking appropriately terrified. Now, on to the concept art! First up here are two characters that aren't cameos at all! Just updated designs for the Elf and Dwarf Commanders since we hadn't seen them in so long. But the third headshot here is of Jules Rivera, creator of the comics Valkyrie Squadron and Misfortune High! She first showed up on this page and managed to return in the most recent one! And last we have Gustav Carlson, creator of Backwood Folk and Eve of the Ozarks! He appeared first on this page and then came running back again! 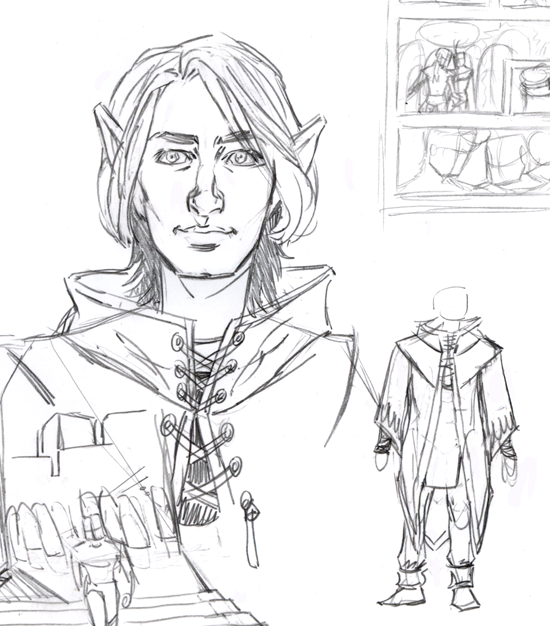 Caroline had to design what the Elf mages would look like for him, so there's also some work on that design here, as well. We recently went through the wonderful experience of Caroline's HDD dying. For obvious reasons, this slowed down our usual one page a week update schedule for Of Stars and Swords. The page (Page 14 of Issue 5) we put up that week wasn't entirely finished, and we figured you might like a side-by-side look at the unfinished page next to the now-finished page. On the left is the unfinished one. Specifically, what's missing is shading on the figures. The backgrounds are actually done, but the figures are still just the flat colors. You can see how Caroline chose to shade them on the right. In a lot of ways, the left page LOOKS done. We could probably put out comic pages that look like that and they'd be perfectly fine, overall. But when you see it next to the final page, you can really see what Caroline does when she's coloring, and that it is absolutely worth it! Enjoy, and as always, click the image to get a better look! 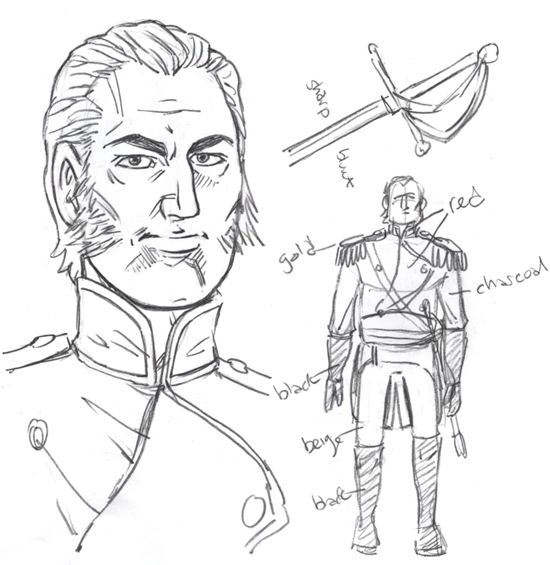 Back in 2011, as we were gearing up to launch Of Stars and Swords, we showed off a pair of character concepts. It's been five full issues of the comic, and we're close to halfway through the sixth, and final for the first story arc, and said characters never showed up! Well, not in the comic. The pair have more recently shown up in the comic's prose side story! 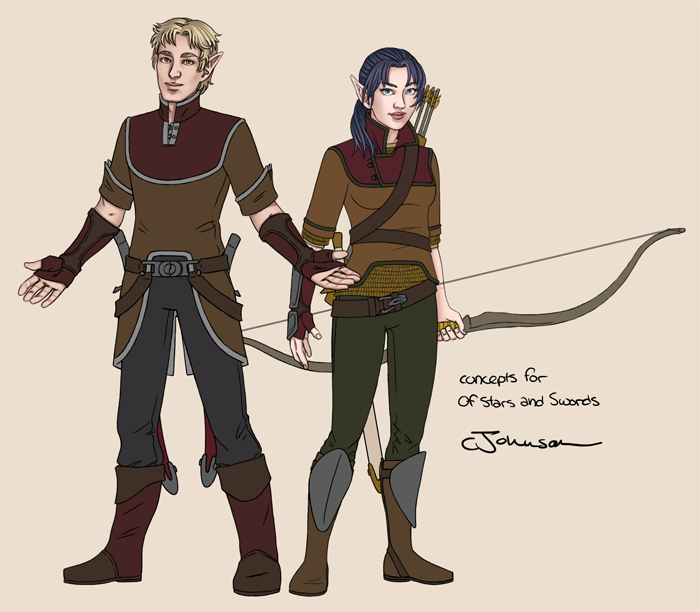 Well, here are Kieran and Maeira again, with a much more finalized design! Finalized for what, though? Details to come. For now, here they are!